I just stumbled across this visually dazzling video by Germany based motion graphics artist Usselino a.k.a. EQUILOUD. that was initially inspired by the track "Vose In" by Autechre. When Equiloud's pal Leisure-B swung by for a beer, he took a peek at the video's initial render test and became inspired to compose an original soundtrack that would compliment the dynamics of the visuals even more. The below music video titled fret_1 is the result, and they really nailed it. 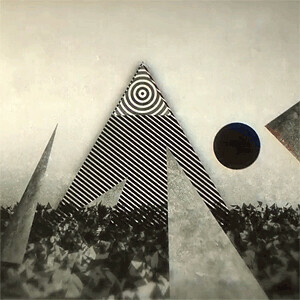 Usselino originally created the video based on the Autechre track "Vose In". After showing the video to Leisure, both gentlemen figured that a change of tune might not be a bad idea. The audio work was then completely redone by using Ableton Live for the sequencing, and NI's Massive and Battery for instrumentation of the harmonies and rhythms. Stay tuned for presets of that. "I personally very much appreciate geometric primitives. They have a certain perfection to them and appear very statical. So why not play around with them and make them more vivid somehow, and with that more interesting for a broader audience? How can I do it, and make other people enjoy it as well? Within a couple of months, my efforts evolved themselves into fret_1. After I met Gerrit I was hoping he could create an alternative audiotrack for it. Well, he did! And this is our cooperation´s result. Hope you like it! (we do)." "Even though I very much appreciate Autechre, the sound that they have and the thing that they do live on stage mainly as well, I felt that this video needed a little more than the sometimes overwhelmingly monotone style that they often bring. By taking a very "sound design" like approach to the composition, I hoped to take the feel animation one step higher. " There´s a bunch of Massive presets (and also a small *.c4d-file, covering the first 20sec. of the animation).